I’m still on vacation but these photos are too good not to share. 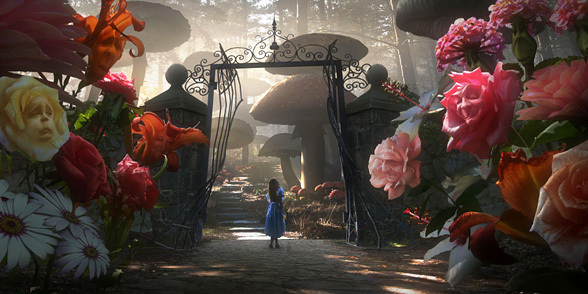 Disney just released the first official images of Tim Burton’s Alice in Wonderland, slated for release March 5, 2010. Whether or not you’re a Burton fan, I think you’ve got to admit these pictures are stunning. 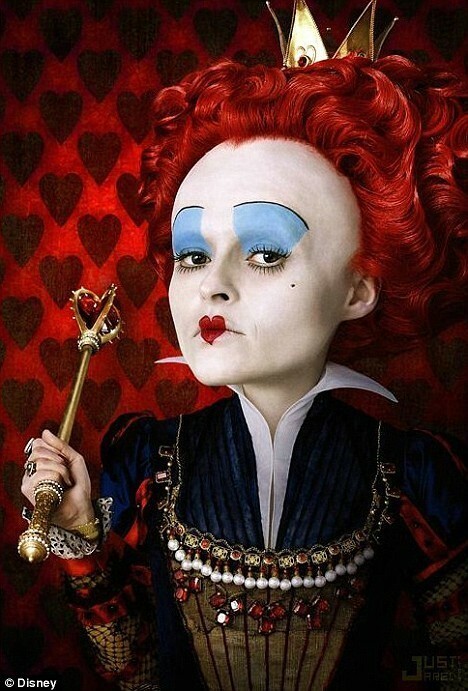 In case you can’t tell due to all the makeup, that’s Johnny Depp as the Mad Hatter, Helena Bonham Carter as the Red Queen and Anne Hathaway as the White Queen. Nineteen-year-old Mia Wasikowska plays Alice, an excellent choice from what I’ve seen of her work in Defiance and In Treatment. Other cast members include Alan Rickman as the Caterpillar, Michael Sheen as the White Rabbit and Stephen Fry as the Cheshire Cat. I can’t wait to see those pictures. 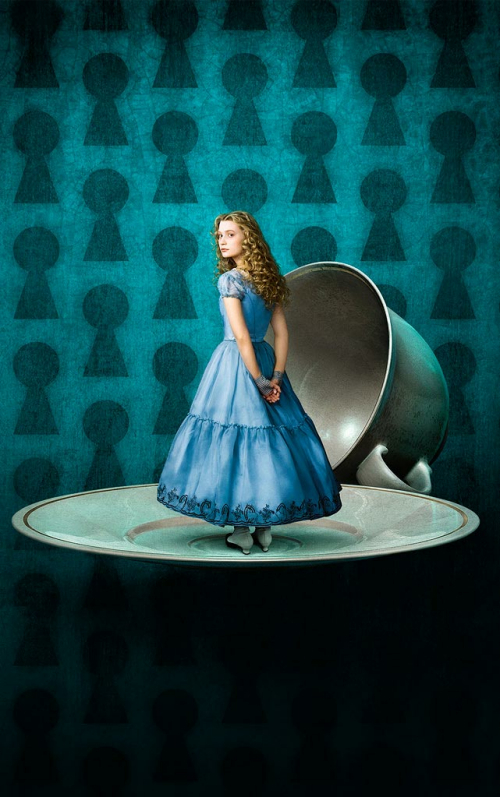 Teaser Trailer for Tim Burton's ALICE IN WONDERLAND! Welcome, bebekaneh. What country are you from? We’ve got a great international crowd here. Actually, in my country there’s a lot of people likes to watch some GREAT movies with “crazy” concept (i think the concept is very unusual, in positive meaning) such as this movie. Indonesia—wow! I’m glad you found this site and hope you’ll visit often. What other “crazy concept” movies have you enjoyed recently? One of the best films I’ve seen in recent years is Guillermo del Toro’s Pan’s Labyrinth. Have you seen that? Pan’s Labyrinth,,hmm,, great make-up with unpredictable ending..
For other movie, maybe you should watch The Fall..have you seen the film? Not “cracy concept”, but the pictures were the BEST. I haven’t seen The Fall but have heard of it. It does sound really good so I think I’ll check it out. Thanks for the recommendation! Thank you for the look-see. Beautiful! Yes, “stunning” says it! Eye-popping! Sooo odd…They’re just over the line from beautiful to a little creepy. LOL! I think it will be a helluva movie. Depp is so dang interesting to watch. I had to do a double take on those flowers, didn’t realize they were faces at first. How cool are those faces in the flowers? And, yes, creepy, too. But it wouldn’t be Tim Burton if it weren’t a little creepy! Can’t wait to see what Burton does with the story. One of the few update/remakes I would consider paying to see. I think Johnny is amazing, but I have to say that the picture here is really out there! I’ll keep an eye out for it and post it here as soon as it’s released. Let’s not forget Matt Lucas as Tweedledee and Tweedledum! 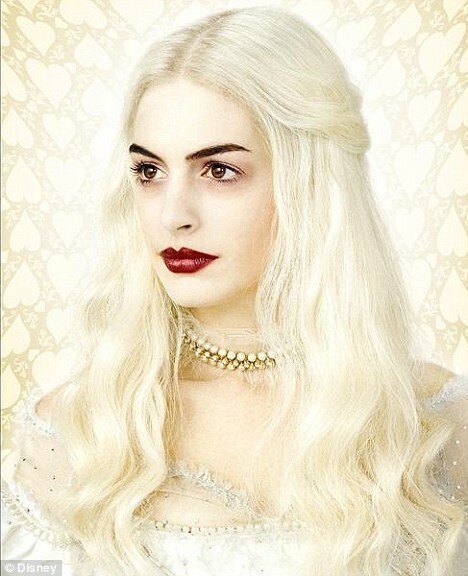 I am a serious Alice fanatic and am a little concerned about the changes they’re making, but what a cast, what a look! I’ll be there when it opens, hoping for the best. Sweeney Todd is one of my favorite shows ever and I loved what Burton did with that, so…we’ll see! Even though I looked up Matt Lucas’s IMDb profile, I can’t say I’m very familiar with his work. Are you a fan of his? What do you recommend as his best work? The main thing I know Matt Lucas from is the hilarious British sketch comedy show Little Britain, which is sometimes shown on BBC America. I think all the seasons are available on DVD from Netflix, too. He’s very funny and I imagine lots of possibilities with the Alice characters. Count me in for this! Johnny Depp will be stunning, as usual. Thanks for the pictures, PCN!